Who doesn’t love Thanksgiving pie? Who doesn’t hate the pressure, not to mention the flying flour, of baking them at home? 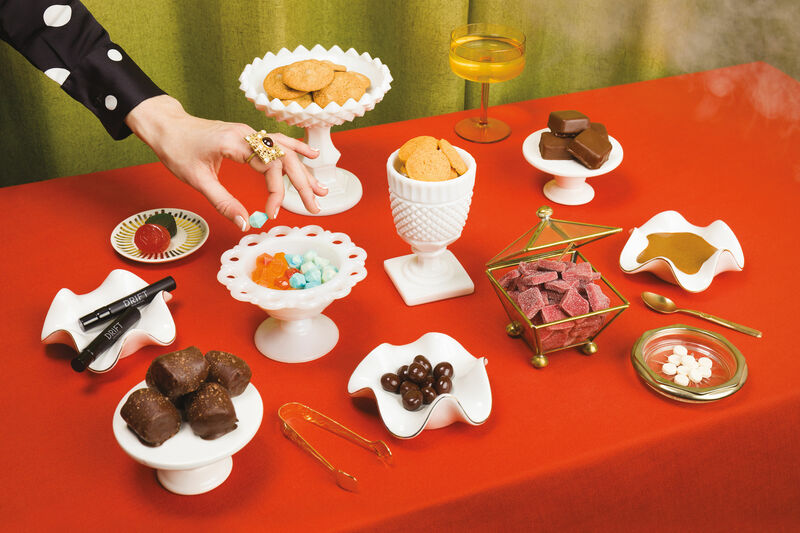 Today, we give thanks to Portland’s obsessive baking community, willing to do the first-rate shopping, the rolling, and the dishes to create these sublime Thanksgiving desserts. 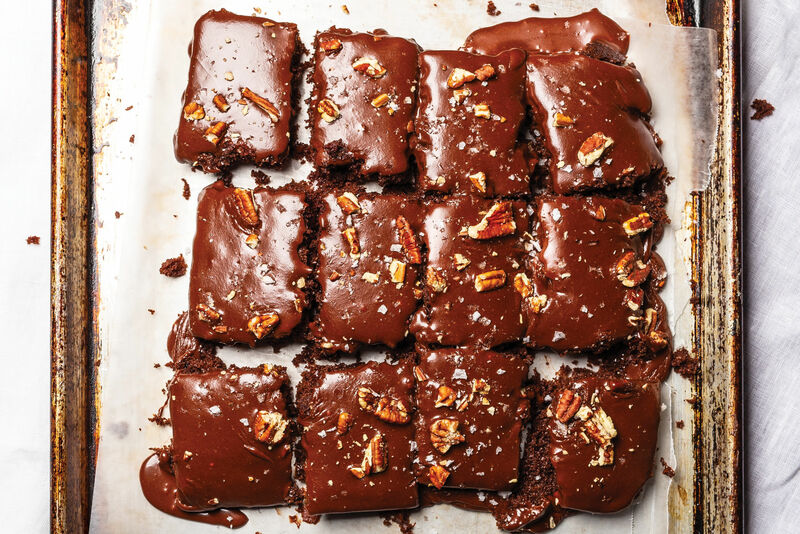 This bakery has it all: the cool backstory (humble beginnings and cult following at the farmers market), the transformation into one of the city’s essential bakeries, and even a gorgeous cookbook coauthored by Portland legend Cory Schreiber. Did we mention some kicking pies? Classic pumpkin pie; deeply spiced farm-fresh apple pie; mixed fruit pies. Butterscotch cream pie: New to the house lineup of wonderful cream pies is this nut-driven crumb crust of pecan and vanilla piled with booze-infused butterscotch cream. Prices “around $22.” Bonus: they sell the pie crust, $8 for a double crust. Order by Sunday, Nov. 20. Feeling lucky, punk? Doors are open until noon on T-Day, and pie strays are always possible. Pie queen Kate McMillen bakes for the thinking pie person, dishing out classic American pies with careful twists and serious all-butter crusts, with secrets gleaned from her grandmother Lauretta Jean. With a new brick-and-mortar pie shop at SW Sixth Avenue and Pine Street, she’ll be cranking out more holiday pies than ever—better get in line. Salted pecan pie: Far from the usual candy-sweet versions, this one is dense with gigantic buttery-nutty pecans straight from the Ellis Bros. farm in Georgia. This is pecan pie to beat all others, shot through with bourbon and orange and finished with crunchy fleur de sel for that addictive salty-sweet lip-smack. Pies are $28, including the glass dish. Preorder by Nov. 21 (503-224-9236 or kate@laurettajean.com). Pick up at the shop Wednesday, Nov. 23, between 7 a.m. and 3 p.m.
Organic pear pie with pecan streusel, with thinly sliced fruit “coated like caviar” in scraped vanilla beans, then mounded over a vegan crust; coconut-milk pumpkin pie with a handmade crust and soy-free filling. Pumpkin mousse pie: a beefed-up rendition of the classic, brimming with a spiced, cloud-like filling of cream and pumpkin. Pies from $28. Preorder a week in advance; pick up on Wednesday up until 8 p.m.
What makes this Alberta storefront Portland’s pie stronghold? Late-night hours and all kinds of creams and curds and fruit pies in heavy rotation. And we’re not even counting the savory numbers. Given the demand (and a small oven), T-Day options are scoped down to five options. 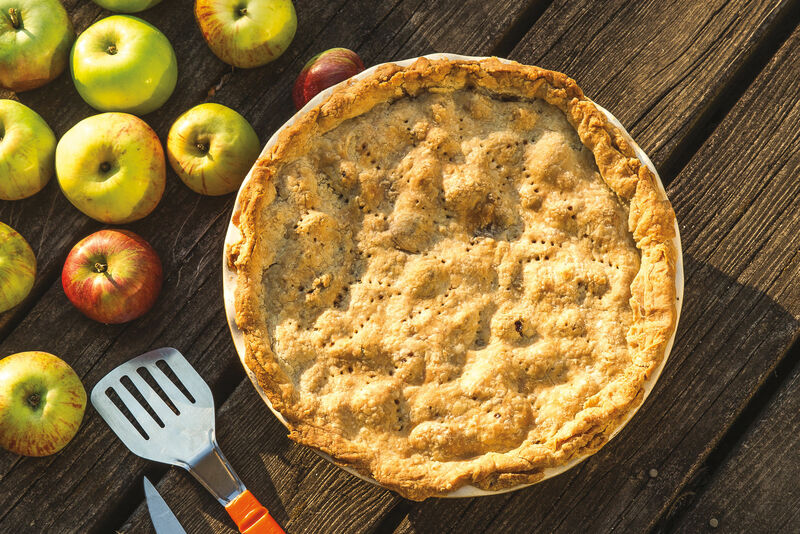 Old World Apple Farm pie, made with a trio of Washington apples like Pink Pearls, King Davids, and Gravensteins; classics such as pumpkin, pecan, or coconut cream. Vanilla salted caramel apple pie: Think pie with hunks of apples, homemade caramel, vanilla sugar, and salt on top. What could be bad? Pies are $35, with a $5 deposit on glass plates. Keep or return. This rigorously French bakery is the go-to place for something rustic and refined. Put simply, a tart from Ken’s can class up any table. Snag a batch of chocolate macarons if you want to watch faces around the table light up with a jolt of chocolate electricity. Open-faced Normandy apple tarts, sauced with kick of apple brandy and fluffed with hazelnut cream in buttery crusts; fresh pumpkin pie roasted from Cinderella pumpkins, known for their custard-like consistency when baked. Salted caramel pecan tart: think pecan-pie-plus, with addictive salty notes as well as sweet, in a filling juiced with homemade salted caramel. 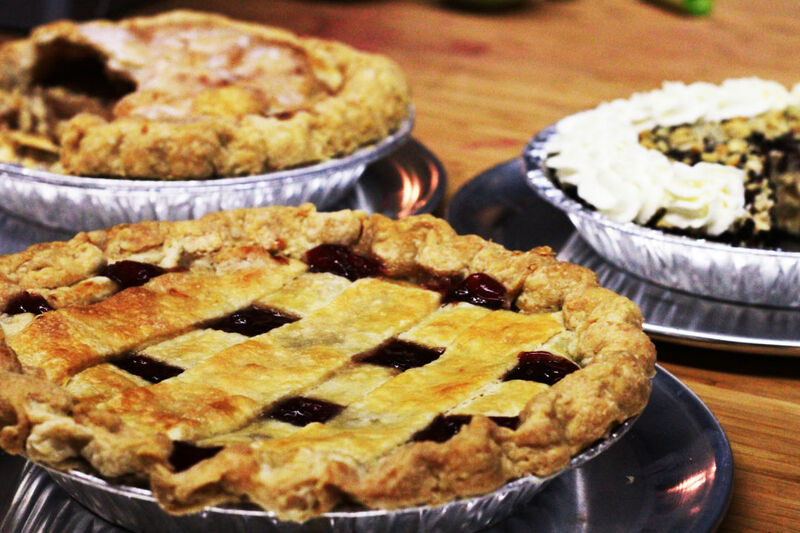 Pies and tarts $22–24. Preorder at least two days in advance; pick up on Wednesday, Nov. 23, before 4 p.m. 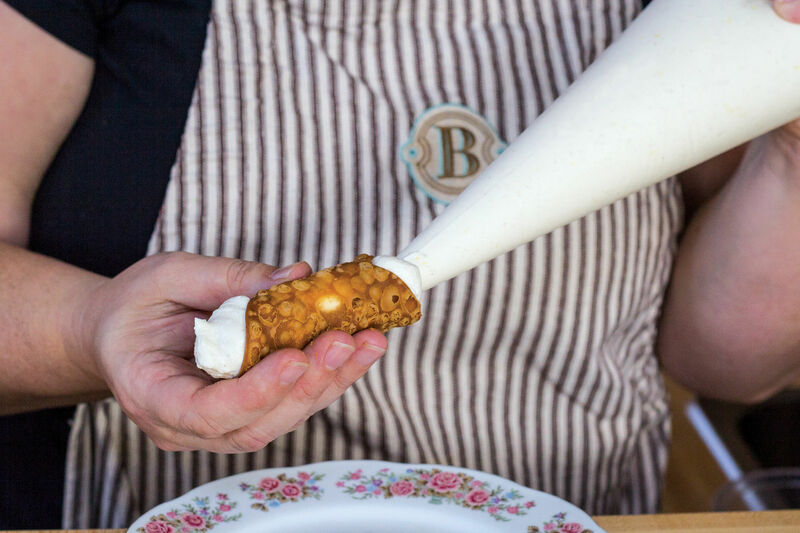 This gluten-free bakery has taken the reins of Portland’s flourless baking renaissance, turning out breads and pastries from every stretch of the imagination. At New Cascadia they celebrate Thanksgiving with a bang—traditional double-crust apple pies, custardy pumpkin pies, and a first come, first served batch of mini bourbon pecan pies, all gluten-free. Last day to order is Friday, Nov. 18. Need a custom pie for Thanksgiving? Bipartisan’s got you covered. Until Nov. 14, these pie pros will crank out just about any flavor of pie you can imagine, pear raspberry, peach blueberry—you name it. Staples like marionberry, apple, pecan, and pumpkin can be ordered in advance until two days before Thanksgiving and picked up as late as 2 p.m. on Thanksgiving Day. Gretchen Glatte has been known to stand at the heirloom orchard booth at the farmers market in the freezing rain, searching for the perfect baking apple. Needless to say, she is serious about her pies. As a former pastry and dessert wiz at Wildwood restaurant, Glatte boasts a mean Thanksgiving pie menu, with classics like her grandmother Ruth’s pumpkin pie, a zesty cranberry orange pecan, and a winter fruit packed with apples, walnuts, apricots, and cranberries, more of a fruitcake than a pie. Orders taken through Nov. 21; pick up before 11 a.m. on Thanksgiving Day.